GEARED LIMIT SWITCH, ROTARY GEARED LIMIT SWITCH, COUNTER WEIGHT (GRAVITY) TYPE ROTATING GEAR LIMIT SWITCH, GRAB DIFFERENTIAL LIMIT SWITCH, LIMIT SWITCHES. 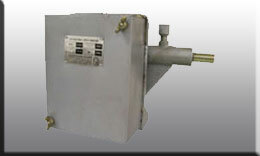 MAGCO ROTARY GEARED LIMIT SWITCH limit switches are used for the hoist motion, having the gear ration 48:1. Contacts are rated for 40 Amps operating on AC 415 V, Single Phase 50 Hz.